16942 Private T.C. 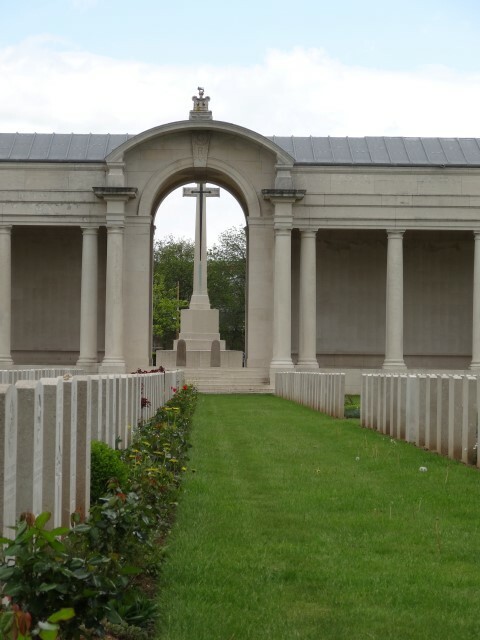 Clark, 8th Bn., East Yorkshire Regiment was killed in action 3 May 1917 and is commemorated on the Arras Memorial. He was about 25 years old and is commemorated on the Butterknowle War Memorial and the memorial plaque in the St. John the Evangelist Church, Lynesack. In 1901, the family lived at Essex Row, Butterknowle and Leonard worked as a coal miner (hewer). By 1911, Thomas and his father lived with his older brother Myles and his family at Armstrong Villa, Butterknowle. 19 year old Thomas was a coal miner (putter). Myles and Leonard were coal miners (hewers). In 1916, Thomas married Mary E. Smith at Burnley, Lancashire. After securing the area around Arleux at the end of April, the British launched another attack east from Monchy to try to break through the “Boiry Riegel” and reach the “Wotanstellung” a major German defensive fortification. This was scheduled to coincide with the Australian attack at Bullecourt in order to present the Germans with a 2 pronged assault, hoping to force the Germans to retreat further east. The attack was launched 3 May and neither prong was able to make any significant advances and the attack was called off after incurring heavy casualties. 30 April: Plans and preliminary orders were issued for the next attack on the Red Line, 8/EYR to relieve 1/RSF in the line. 1 May: Monchy: The Germans put down a heavy barrage behind the front line. 1 killed and 3 wounded. 1/RSF and Royal Scots returned to the line to take up battle positions. Monchy and its outskirts hit by the usual shelling. 2 May: Monchy shelled. German batteries subject to heavy gas shell bombardment. During the evening while the relief was taking place and troops were moving into their assembly positions, the enemy retaliated and quite a number of casualties were suffered. Private T.C. Clark was reported as missing. 4 May: Orders were received to re-organise and the wounded were evacuated from No-Man’s Land under the Red Cross flag. 5 May: The Battalion HQ was shelled all night. Work on posts and trenches continued. 2nd Lt. Pappa was killed and buried where he fell. Work proceeded under heavy sniping and occasional shelling. There were 20 casualties. 6 May: Hostile shelling as usual but the situation was generally quieter. The Brigade was relieved by the 9th Brigade which commenced at 10pm and completed by 5.30am. 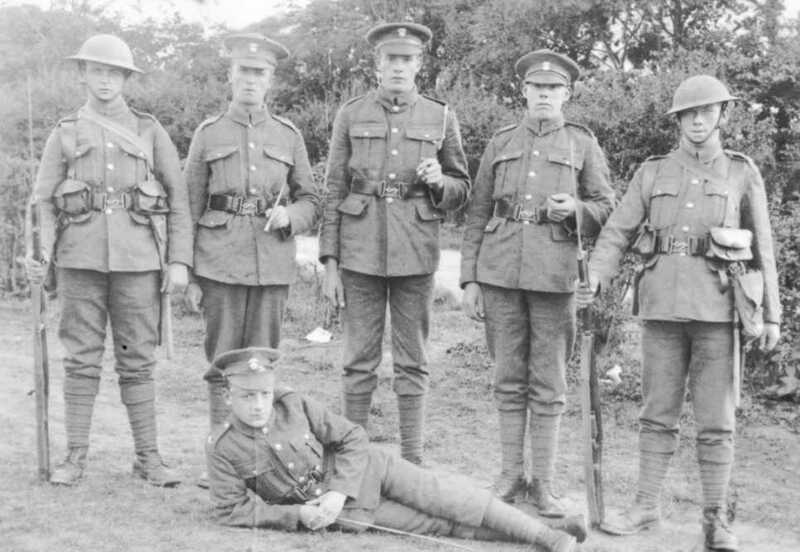 Later research records that between 3 and 6 May 8/East Yorkshire Regiment lost 6 officers and 60 other ranks killed in action or died of wounds. The officers were 2nd Lieutenants Biddy, Cox, Dalton, McIntyre, Pappa and Price. 5 officers and 46 other ranks including Private T.C. 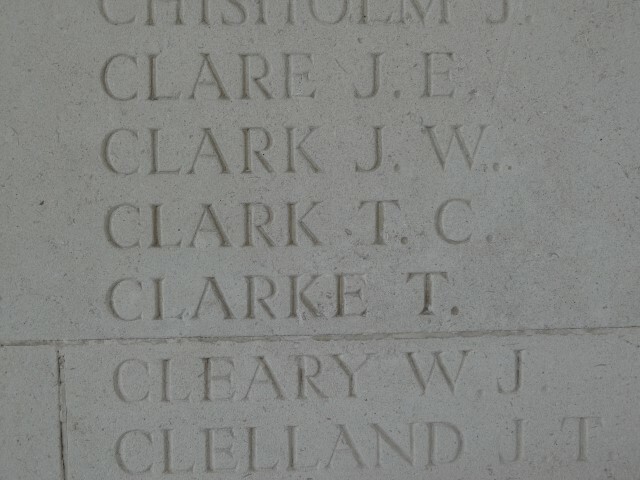 Clark were killed in action or died of wounds 3 May 1917. Private T.C. Clark was initially reported as missing but as a result of the lapse in time, presumed to be dead since 3 May 1917. Private T.C. Clark served 2 years 238 days and he was awarded the British War and Victory medals. His effects were issued to his widow, Mrs. Mary E. Clark. England & Wales 1837-1915 Birth Index Vol.10a p.256 Auckland 1891Q4 The Phillips family tree and others on Ancestry quote a birth date of 11 November 1891. Note: On other family websites there is a photo of a Private T.C. Clark. This soldier is wearing headgear with a Fusiliers style cap badge – could it be the Royal Scots Fusiliers which served in the same Brigade? To the best of our knowledge he didn’t serve with this regiment. This photo is displayed below.